Uber announced a new system to identify sexual misconduct on its platform -- introducing 21 categories from staring and leering to non-consensual sexual penetration -- in a step toward transparency with customers and rehabilitating its public image. "You've probably heard 'Do the right thing,' which we've really made an organizing principal for everything in the company," Uber's chief legal officer Tony West told a handful of reporters at a private event on Monday in New York City. "I've talked about the importance of acting with transparency, integrity and accountability in everything that we do." 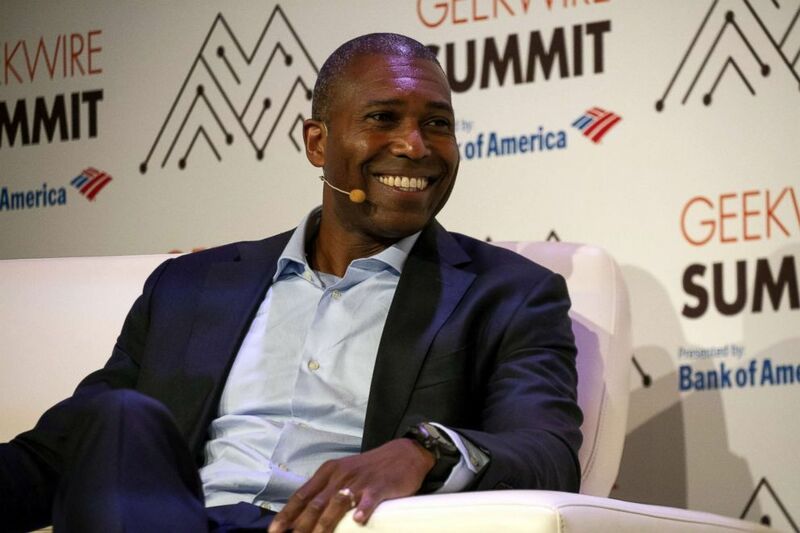 Tony West, chief legal officer of Uber Technologies Inc., smiles during the GeekWire Summit event in Seattle, Washington, Oct. 2, 2018. "We believe if we improve the safety of the platform for women, we can do it for everybody," West said. The company is preparing a "transparency report" for 2019, in which it will publicly detail incidents of sexual assault and harassment for riders and drivers. The move deals with one pervasive problem with preventing sexual misconduct: data collection can be tricky because bad behavior is under-reported and can be loosely defined. "People want to go down the rabbit hole of which statistics are accurate, if you don't have the same definitions to use, it can be challenge," said Kristen Houser, the chief public affairs officer for the National Sexual Violence Resource Center, who, along with the Urban Institute, worked with Uber to create the new taxonomy, or classification system. "When we talk about sexual assault, words really matter. This is based in descriptive behavior," Houser said. "Differences in definitions and methodology make statistics about sexual violence from different sources even harder to compare. There is no common definition of criminal sexual assault across the 50 states or in federal crime statistics, and there is no shared understanding of misconduct that may not be criminal in nature," West wrote in a Medium post with Houser. The 21 categories range from the "non-criminal, non-touch behavior such as leering or flirting or inappropriate comments, all the way up to things that fall under state statutes for criminal sexual assault," Houser added. A man poses holding a smartphone showing the App for ride-sharing cab service Uber in London, Sept. 22, 2017. 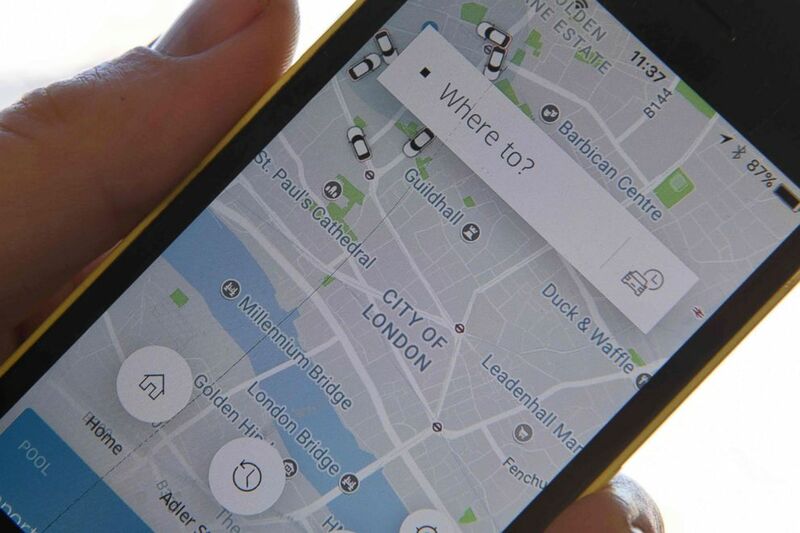 Uber has faced a spate of bad publicity in the past few years, leading to the resignation of its founder Travis Kalanick from the CEO position last year. Former Expedia CEO Dara Khosrowshahi was brought in to turn the company's culture around, and West is part of that effort. In joining Uber, West, a former Obama administration associate attorney general, rejoined former Attorney General Eric Holder and Obama campaign manager David Plouffe in Uber's upper executive ranks. As the company looks to recast its image, it has taken initiatives to confront its critics and present a sustainable corporate culture. Monday's Uber announcement was met with mixed responses by victims' advocates. "I love what Uber is doing and saying here. We have to move beyond the usual employer 'training' about sexual harassment having to be 'severe or pervasive,'" Nancy Erika Smith, an employment lawyer who represented Gretchen Carlson and other women in their sexual harassment suits against Fox News Channel's Roger Ailes and Bill O'Reilly, wrote ABC News in an email. "That phrase was made up by judges who effectively amended the law to say that 'some' sexual harassment is okay. We haven’t lessened harassment in the workplace by what we’ve been doing so far –- so I appreciate this effort to improve on the communication regarding unacceptable workplace behavior." "While classifying and ultimately reporting types of sexual misconduct is important, taking strong steps to prevent sexual misconduct ought to be the primary focus," said Doug Wigdor, a lawyer who represented women who had been raped by their Uber driver. "There are steps they could be taking to eradicate any definition of sexual misconduct that would be far more worthwhile -- panic buttons in cars, tamper-proof video cameras in cars, better background checks, interviews before hiring drivers." "We all know when a woman is raped or touched inappropriately, it's a bad thing," Wigdor added. "The effort should be preventing these things in the first place, instead of focusing on what bucket it goes into."